Yesterday the United States Transportation Secretary Ray LaHood warned owners of recalled Toyotas to immediately stop driving their vehicles and take them into the Toyota dealership for immediate repair. Mr. LaHood testified before Congress that Toyota was slow to address the safety problems with its gas pedals and it took pressure from the U.S. government that forced Toyotal to recall millions of its vehicles. LaHood described Toyota as being “a little safety deaf” during the investigation and reported that Toyota was so resistant that it took federal safety officials from the U.S. government travelling to Japan to “wake them up” to the very seriousness of the danger. Lahood further reported to Congress that the recall occurred because of the National Highway Traffic Safety Administration, the federal government agency that worked to protect consumers from these dangerous vehicles by meeting with the top officials of Toyota in Japan. LaHood also stated that the U.S. government considered civil penalties to Toyota but would not provide specifics. Former NHTSA administrator Joan Claybrook said Toyota has been resistant to regulation for a long time and been extremely secretive. On Monday Toyota apologized about the problem and announced a repair which will insert a steel piece into the gas pedal to resolve excess friction that can cause the pedal to become stuck. Federal data show these complaints against Toyota have doubled last year alone. A government survey of Lexus owners found dozens of reports owners pressing hard on the brakes but failing to stop the sudden acceleration of their vehicles. This led to a Toyotal recall for 55,000 Lexus vehicles in 2007. Then in August a California Highway Patrol officer and his family were killed in a high-speed crash aboard a 2009 Lexus ES350 which hit speeds exceeding 120 mph, struck another SUV vehicle, drove off an embankment, rolled several times, and exploded in flames while a family member was calling 911. Since that time, there are increasing reports of runaway acceleration Toyota and Lexus vehicles not on the recall list. 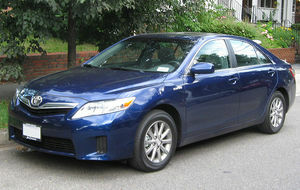 In October, Toyota recalled more than 4 million vehicles and the recall has since grown to more than 5 million vehicles. Congress has now launched an investigation into the risk to the public and federal safety officials are widening their investigation of Toyota’s sticky gas pedals. 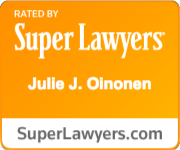 Williams Oinonen LLC understands the law relating to defective products and can help you recover for a wrongful death or serious injuries you’ve received because of someone else’s negligence. Contact us at 404-654-0288 for more information.